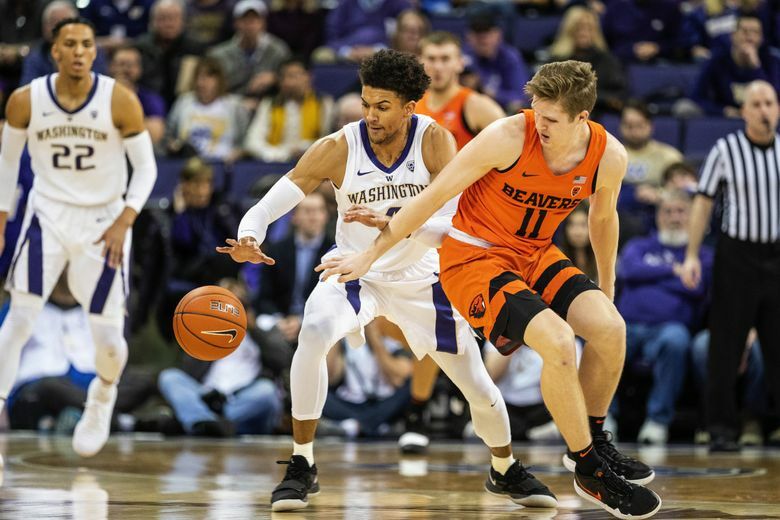 Matisse Thybulle added another theft to his record-breaking steals tally at Washington — grabbing the Lefty Driesell Award on Friday, which honors college basketball’s best defensive player each year. Thybulle edged out finalists including Duke’s Zion Williamson and Gonzaga’s Brandon Clarke, among others. The 6-5 senior guard helped lead the Huskies to a Pac-12 regular-season title, a trip to the second round of the NCAA tournament and a 27-9 record. His 126 steals is tops among Division I players and broke the Pac-12 season record that was held by Jason Kidd. Thybulle also eclipsed Gary Payton for the conference’s all-time steals record with 331. The Husky star with the 7-foot wingspan also had 83 blocks this season, which ranks 11th nationally. He finished his career with 186 blocks that’s tied with Chris Welp for the most in UW history. Thybulle, a two-time Pac-12 Defensive Player of the Year winner, is a finalist for the Naismith national defensive player of the year award along with Williamson, Clarke and Virginia’s De’Andre Hunter, who claimed National Association of Basketball Coaches Division I defensive player of the year honors this week. The Naismith trophy for top defensive player will be awarded Monday at the Final Four in Minneapolis.